Chester Lakes, about 3 miles outside of Chester city centre, Chesire, England. Me with a nice little mirror carp. 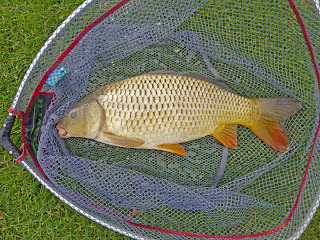 In Australia it is an offence to return a caught carp to the water as they are considered a nuisance. This is because Australians allege that the humble carp are a threat to their native fish species "The Lesser Spotted Dingo Roo Jumping Koala Pike." 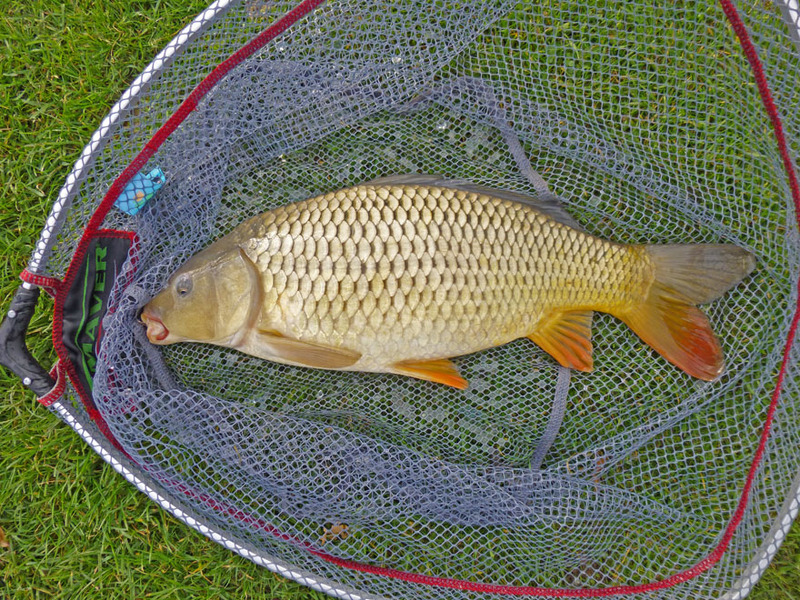 Here's a Common Carp I caught at Chester Lakes on the 16th September. The net you see in the photo is 6ft in diameter giving you a good idea of the massive size of this fish. I also got stung TWICE by the same bloody wasp. It's an early autumn in England and the normally placid wasps can get a bit antsy. They're dying off and feel that stinging a poor fisherman on the back of his neck is fair game in light of their impending death. 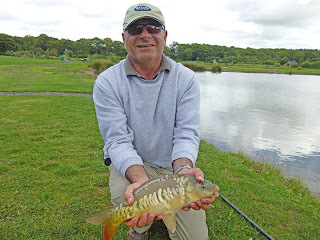 This will teach me not to fib about the size of fish you'll see on this web page. Real net size about 22 inches. Fish about 16 inches.